Fulton County Government – Certified Public Manager Program is delighted to partner with Vision to Learn—supported by the generous funding of the Chick-fil-A Foundation—to launch Vision to Learn’s free eye exams and free glasses program in Georgia in July 2017. Vision to Learn’s work is critical to ensure that vision impairment is diagnosed and corrected early before poor sight derails children’s educational advancement. Please share this information with your community. Registration ends Friday, June 30. For more information, call 404-612-2201. 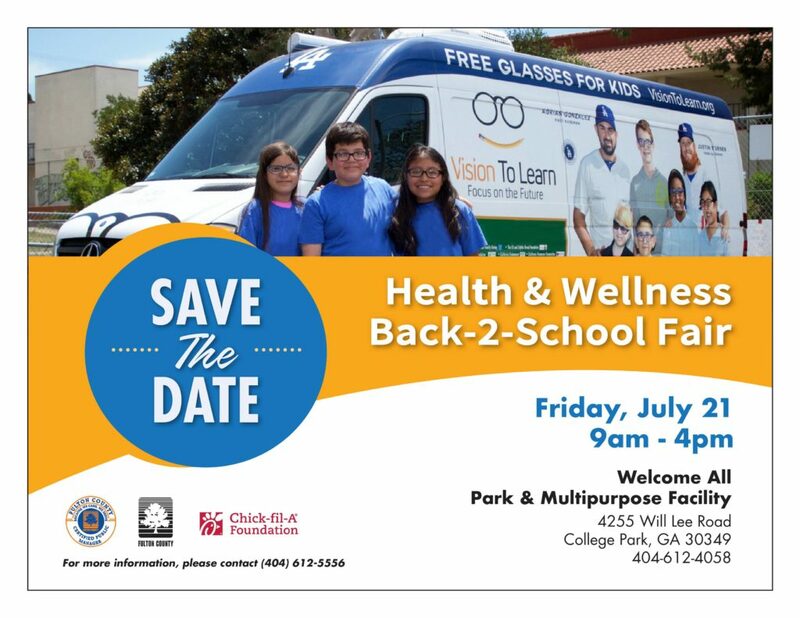 To register a child for the free eye screenings, please call 404-612-5556.